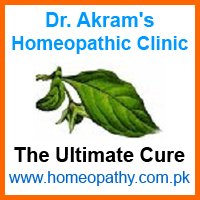 Akram Homeopathic Clinic is located in Lahore Cantt, Pakistan. The clinic is managed by a team of two homeopathic doctors, Shahzad Akram and Muhammad Akram Khan. 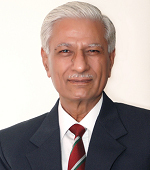 Homeopathic Doctor M Akram is the senior member of the team and deals with email and online consultation. He has been deeply associated with homeopathy since 1989 but started regular practice in 1997. Since then, he has successfully treated a large number of acute, chronic and complicated cases of varying natures, at the clinic as well as through Internet. He is providing online consultation since April 2000. Homeopathic Doctor Akram holds Diploma in Homeopathic Medical System and is registered as Homeopathic Medical Practitioner with National Council for Homeopathy, Pakistan. In addition to homeopathy, he has studied various other healing systems. He is also a Reiki Master/Teacher in the lineage of Dr. Mikao Usui and teaches all levels of Usui Reiki. Homeopathic Doctor Shahzad Akram is the second member of the team. He is also a qualified homeopath holding Diploma in Homeopathic Medical System and is registered with National Council for Homeopathy, Pakistan as a homeopath. He is practicing homeopathy since early 2000. He attends our physical clinic, deals with both acute and chronic cases and has successfully treated a large number of both acute and chronic cases. He is also a Reiki Master. Our clinic is frequented by male and female patients of all ages. We have successfully treated a large number of cases of varying nature ranging from minor to major, acute to chronic, and of long standing. Main diseases and conditions that we have treated at the clinic and through email include asthma, alopecia (falling of hair), dandruff, different heart diseases including coronary thrombosis, female diseases (including menstrual problems, infertility and hot flashes), freckles, hemorrhoids (both blind and bleeding), kidney diseases, migraine (large number of cases have been cured), stomach ulcer and various skin diseases including vitiligo (leucoderma). Deserving cases are provided free treatment, which includes both consultation and medicines. This facility is available to visiting patients only. We have a wide range of medicines available in our clinic. Dispensing is done on the spot so that our patients do not have to go looking for medical stores. We also offer Reiki treatment where needed. This is done in addition to normal medication. Combination of Reiki and homeopathy gives excellent results in many complicated cases. Reiki treatment is also provided to those who wish to be treated by this healing system only. Reiki also provides you the ability to carry out self treatment. By learning Reiki, you become Reiki healer and get lifetime ability to treat yourself and others.